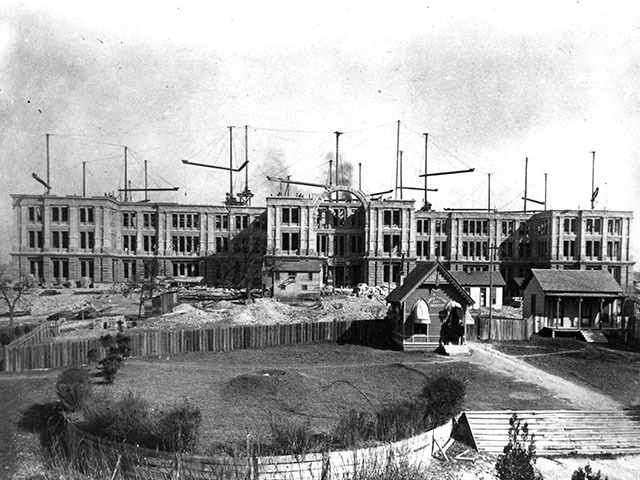 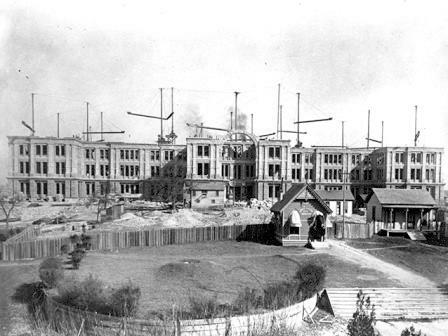 Construction of the Capitol's third floor showing derricks that moved the enormous stones, c. 1887. 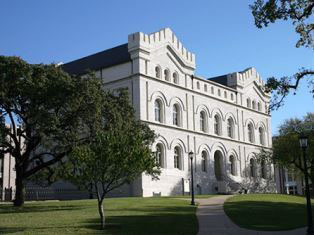 Image Courtesy Texas State Library and Archives Commission, 1965/089-14. 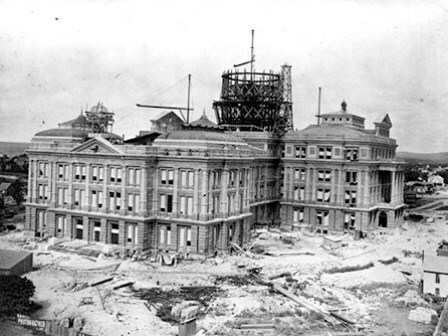 The wrought iron frame of the Capitol dome takes shape, c. 1887. Image Courtesy Texas State Library and Archives Commission, 1965/089-17. 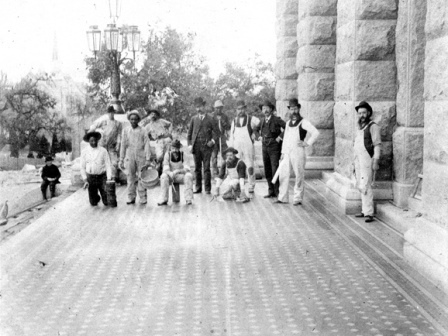 Workers shipped over 188,000 cubic feet of granite from the quarry to the Capitol on a specially constructed railroad. Image Courtesy Texas State Library and Archives Commission, 1965/089-21. 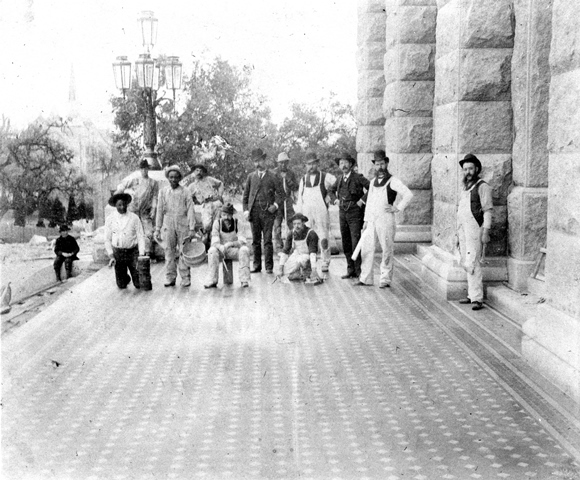 Construction workers on the Capitol's east portico, c. 1888. 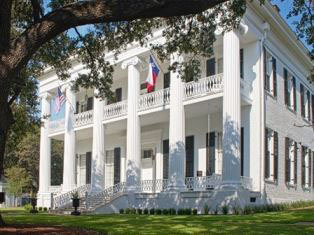 Image Courtesy Dolph Briscoe Center for American, The University of Texas at Austin, di_04188. 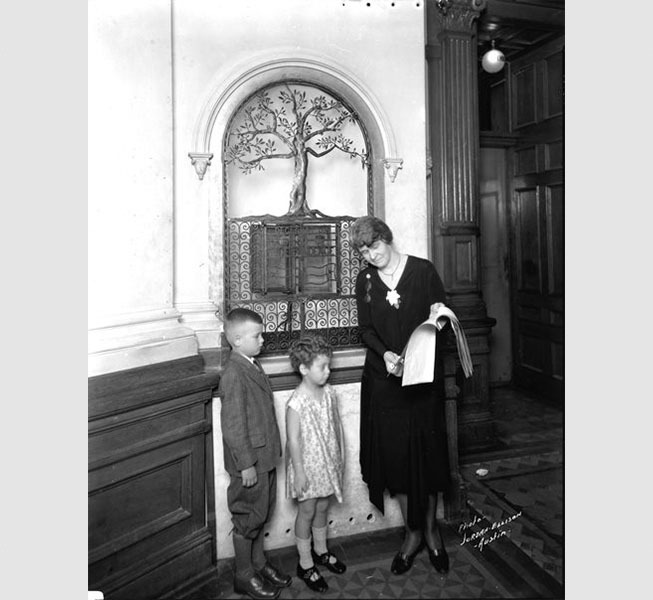 Secretary of State Jane McCallum shows the original copy of the Texas Declaration of Independence she discovered in her Capitol office, c. 1929. 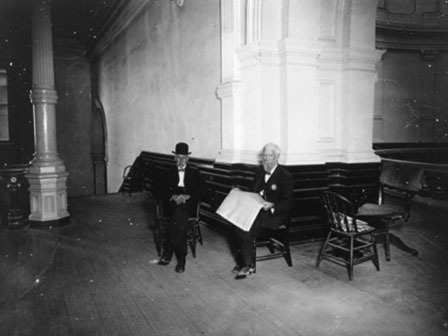 Image Courtesy Austin History Center, Austin Public Library, Chalberg Collection of Prints and Negatives, C06672. 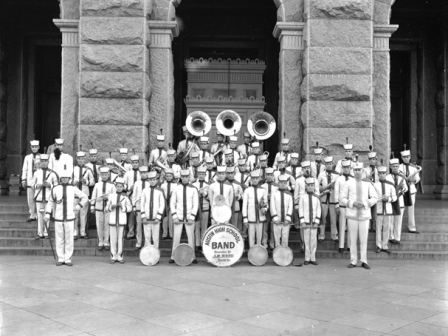 The Austin High School band outside the north entrance, December 2, 1925. 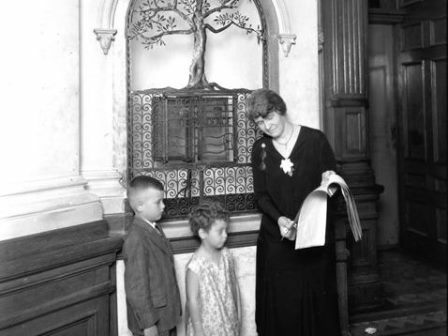 Image Courtesy Austin History Center, Austin Public Library, Chalberg Collection of Prints and Negatives, C02751. 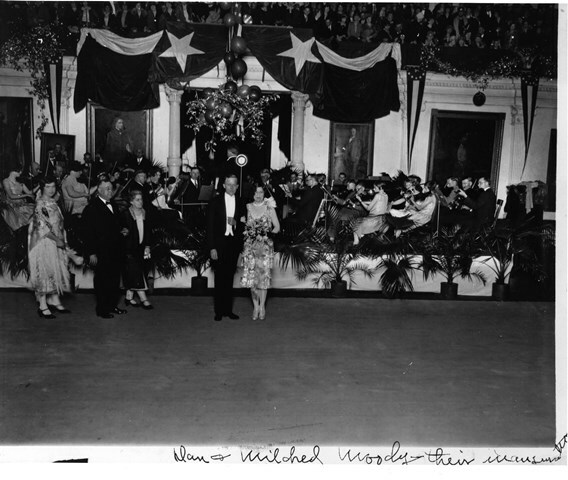 Governor Dan Moody (1927-1931) holding his inaugural ball in the Senate Chamber, January 18, 1927. 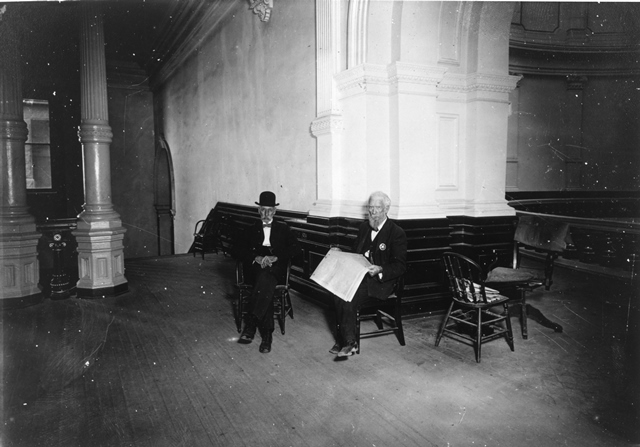 Image Courtesy Austin History Center, Austin Public Library, Chalberg Collection of Prints and Negatives, C02819. 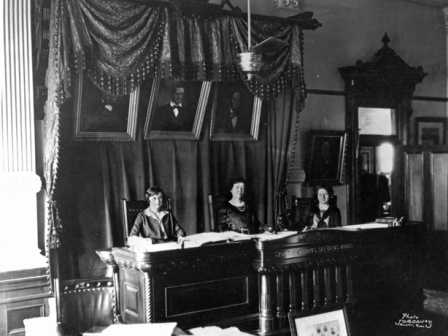 The "Texas All-Woman Supreme Court" in the Capitol's Supreme Courtroom when the three permanent justices recused themselves from a case, 1925. 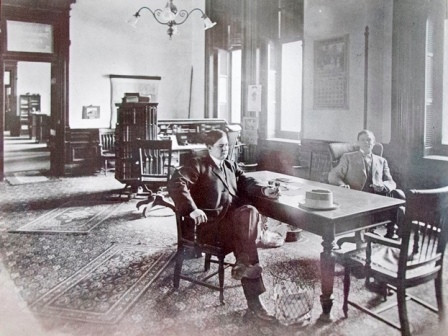 Courtesy Austin History Center, Austin Public Library, Chalberg Collection of Prints and Negatives, C02799. 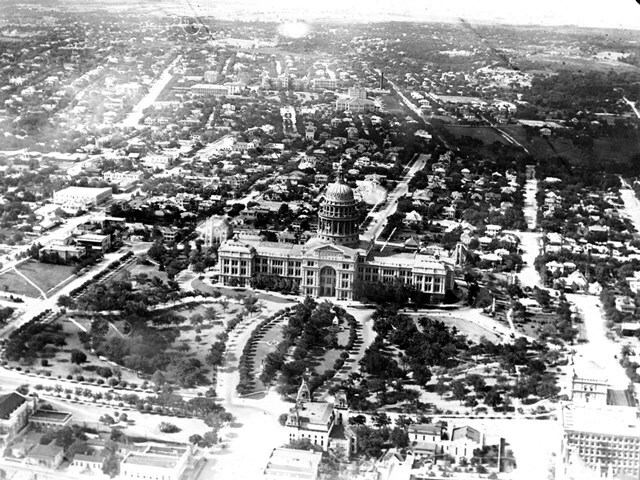 An early aerial photograph of the Capitol, c. 1920. Image Courtesy Texas State Library and Archives Commission, 1/103-55. 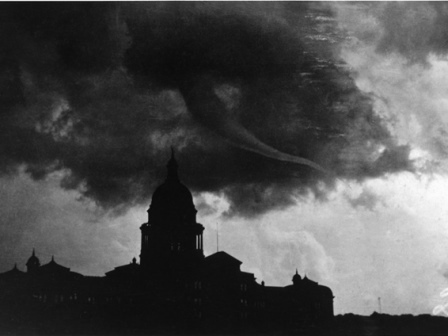 A tornado on May 4, 1922 did not damage the Capitol. 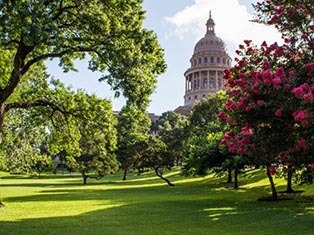 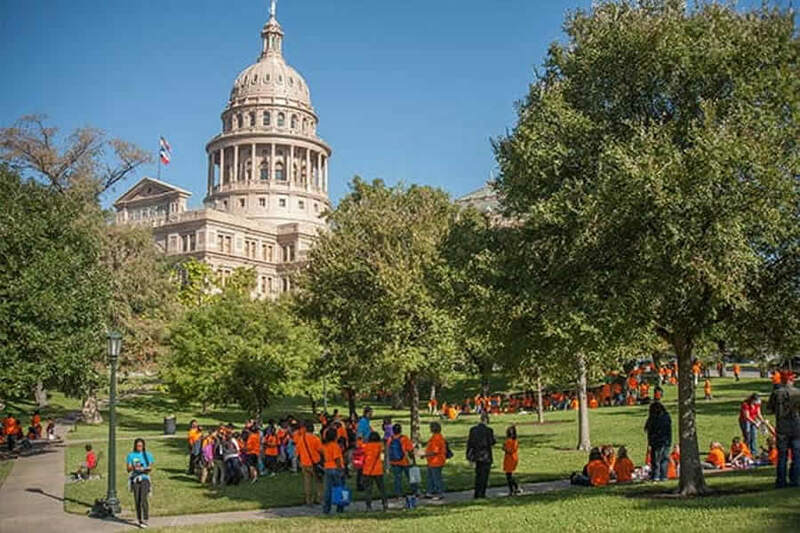 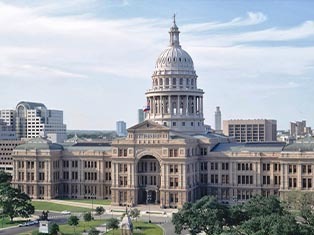 However, the storm resulted in 13 deaths and 44 injuries in Austin. 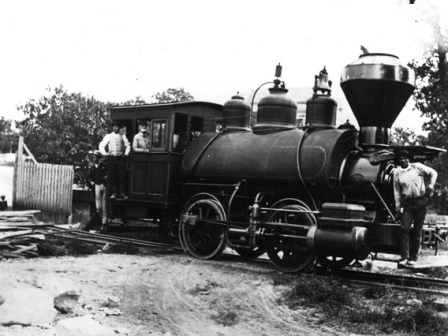 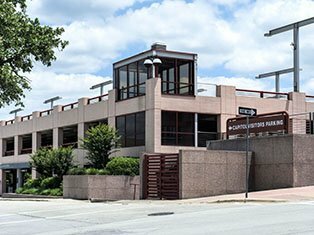 Image Courtesy Austin History Center, Austin Public Library, PICA 00406. 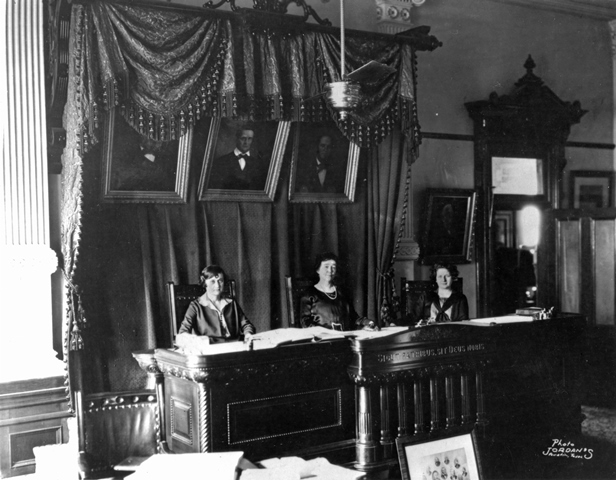 Image Courtesy Austin History Center, Austin Public Library, Chalberg Collection of Prints and Negatives, C05669. 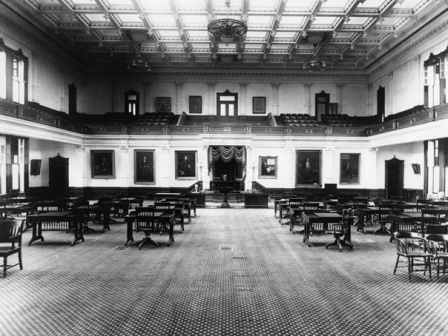 The House Chamber, c. 1917. 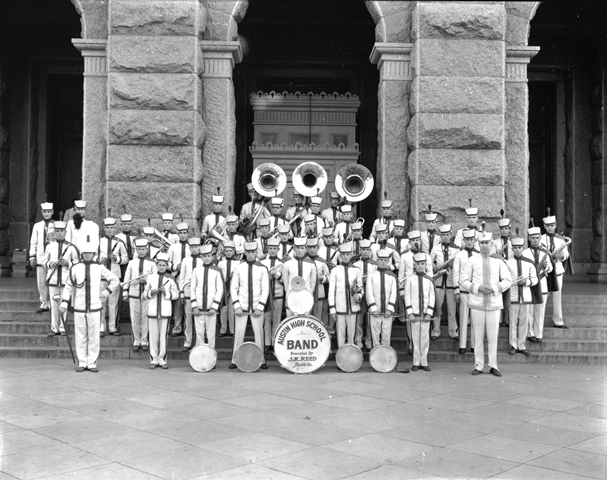 Image Courtesy Austin History Center, Austin Public Library, Chalberg Collection of Prints and Negatives, C03548. 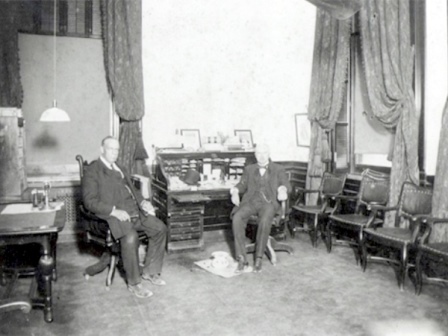 Governor S.W.T. Lanham in the original governor's private office on the first floor, c. 1905. 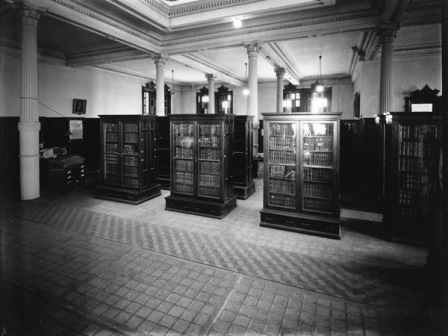 Image Courtesy Dolph Briscoe Center for American History, The University of Texas, di_07421. 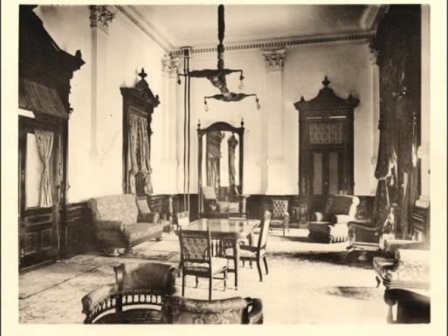 The elegantly decorated Governor's Public Reception Room with the S-curved bench, which is still in the space today, c. 1894. 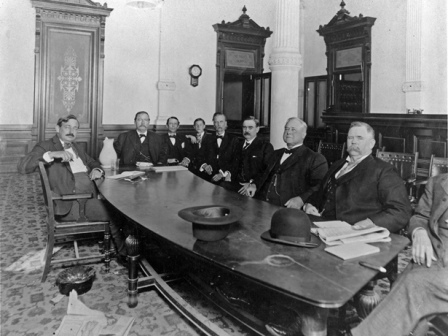 Image Courtesy Austin History Center, Austin Public Library, PICA 06330. 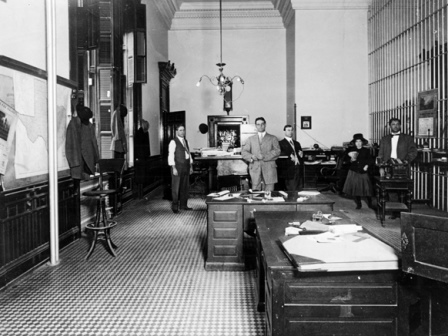 A rare early image of the Secretary of State's office on the first floor east wing, c. 1900. 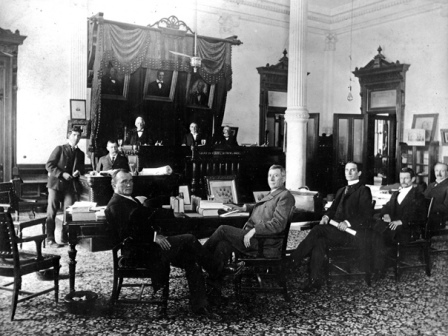 The Texas Supreme Court meeting in the Supreme Courtroom on the third floor, c. 1900. Image Courtesy Austin History Center, Austin Public Library, PICA 12954. 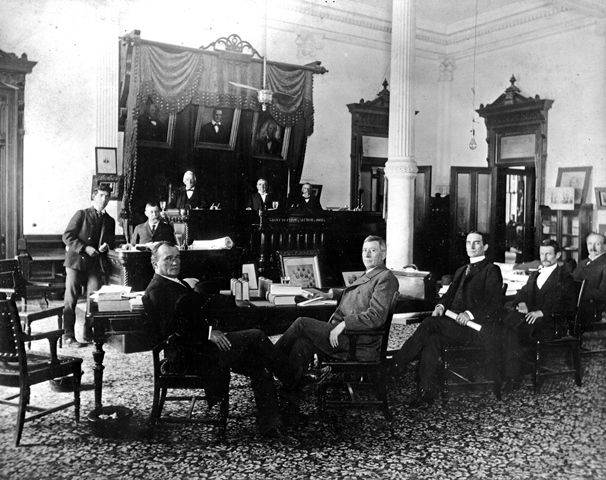 The Court of Criminal Appeals meeting in their Courtroom on the Capitol's third floor, c. 1900. 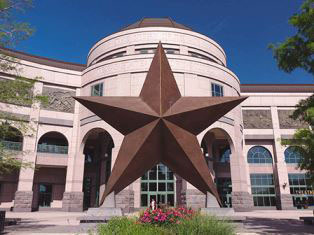 Image Courtesy Texas State Library and Archives Commission, William Deming Hornaday Photograph Collection, 1975/070-5347. 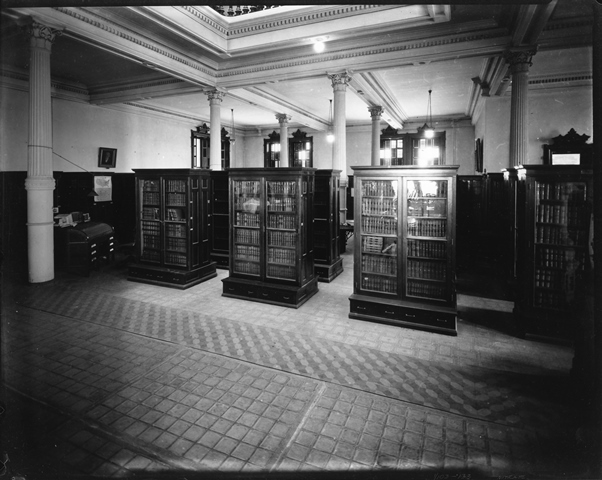 The State Library on the second floor north wing with glass block flooring, c. 1922. 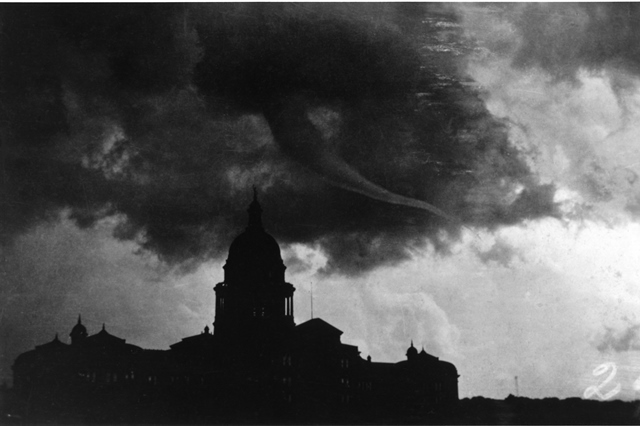 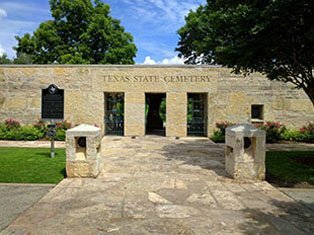 Image Courtesy Texas State Library and Archives Commission, 1/103-133. 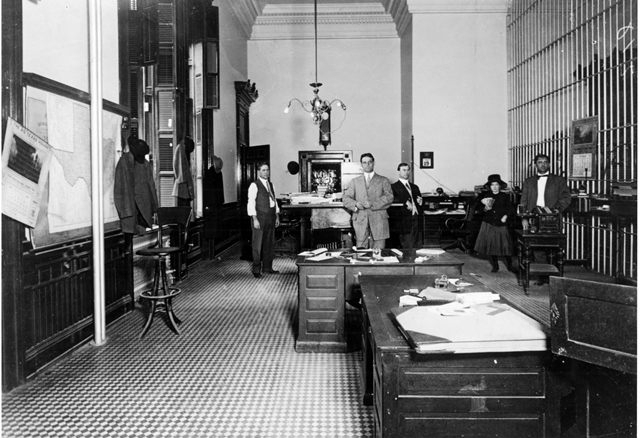 State Treasurer's Business Office on the first floor, c. 1910. 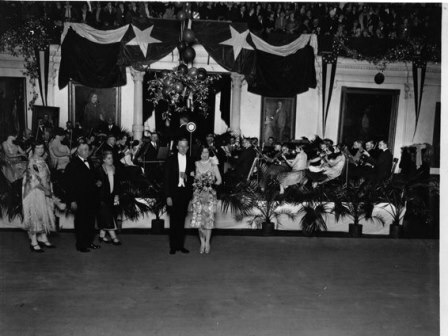 Image Courtesy Texas State Library and Archives Commission, 1/006-29. The Agricultural Museum showcases the agricultural products of Texas, c. 1894. 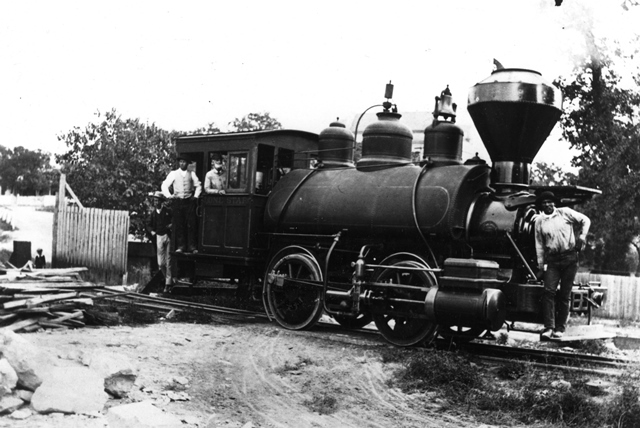 Image Courtesy Austin History Center, Austin Public Library, PICA 06331. 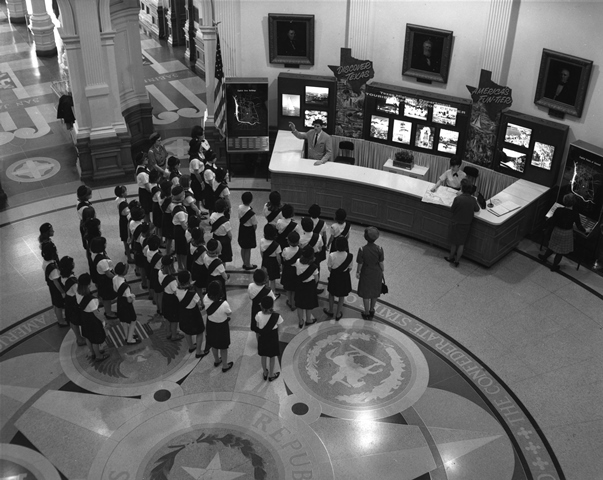 The Texas Highway Department travel desk stands in the Rotunda, 1967. 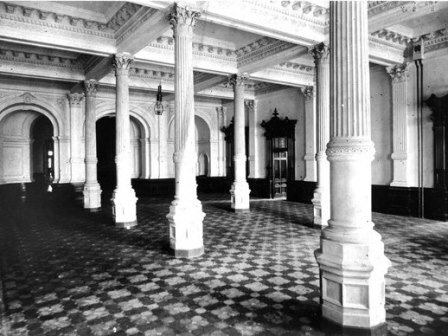 The South Foyer originally had geometric encaustic tile flooring, 1888. Image Courtesy Austin History Center, Austin Public Library, PICA 27294. 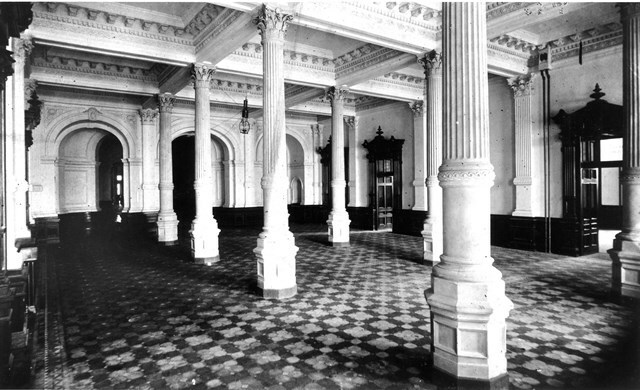 This rare fourth floor photograph reveals the original long leaf pine floor in the corridors and encaustic tile surrounding the Rotunda, c. 1900. 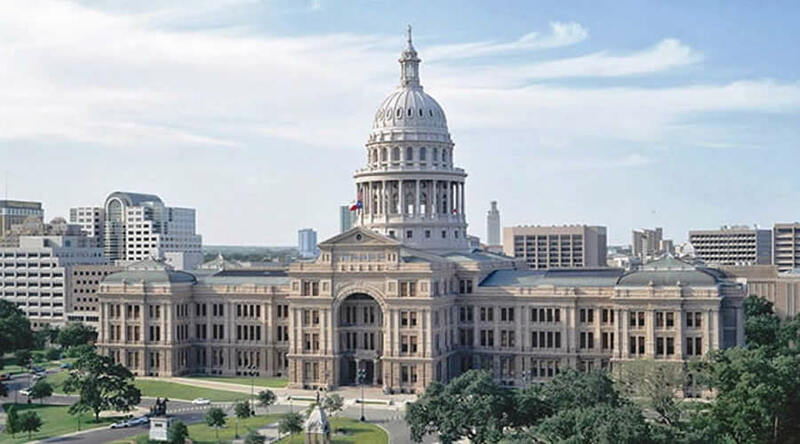 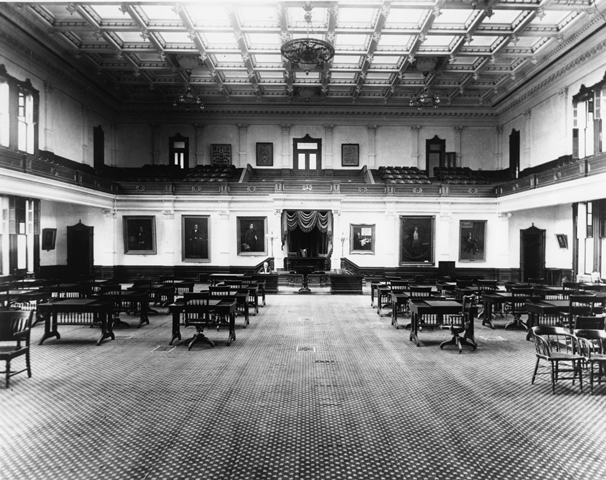 Image Courtesy Texas State Library and Archives Commission, Texas State Capitol interior photograph collection, 1/006-21. 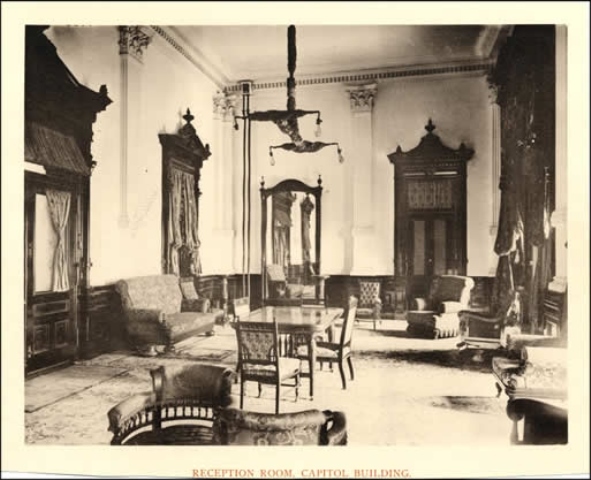 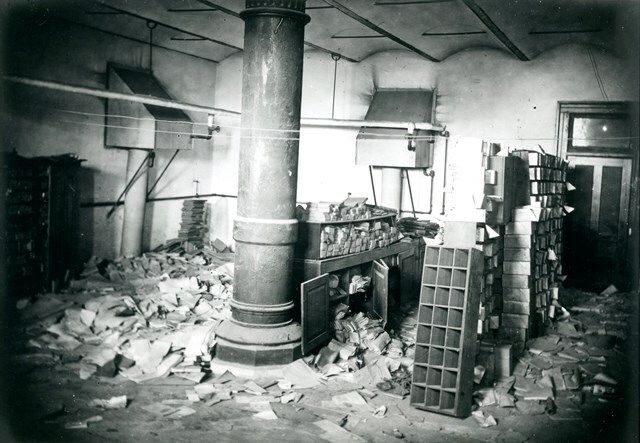 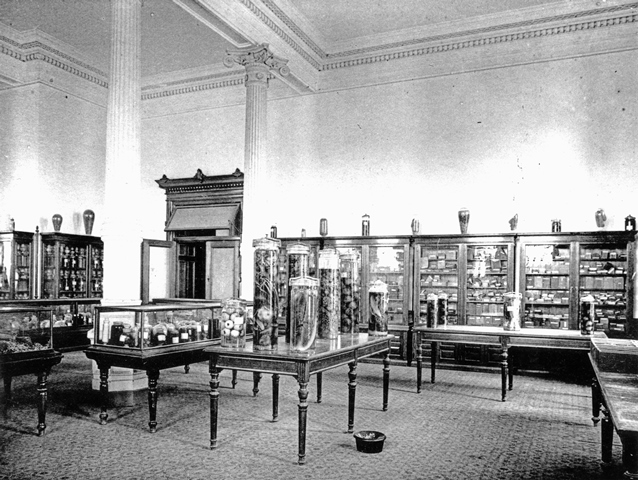 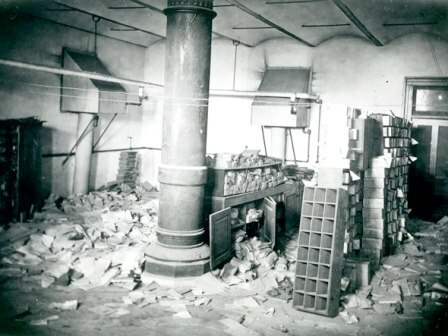 An area of the Capitol's Ground Floor serving as a storage location, c. 1911. 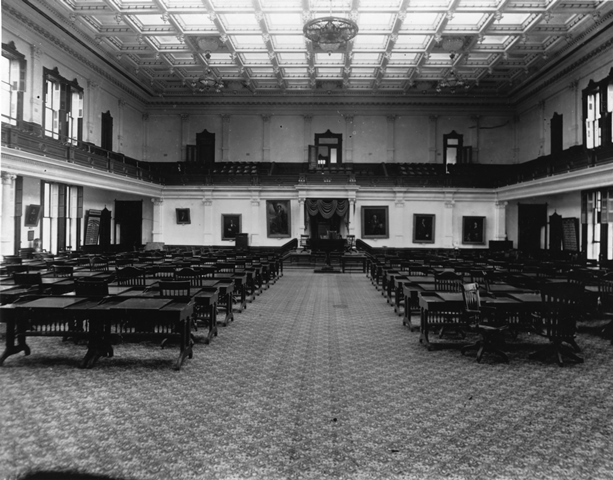 Image Courtesy Texas State Library and Archives Commission, Texas State Capitol interior photograph collection, 1/006-7.